Memorial Day is a federal holiday designated to honor American service people who died in battle. The Star Spangled Banner, as sung by Whitney Houston. 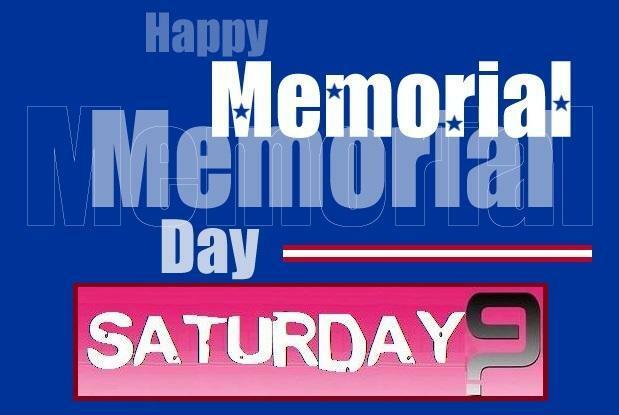 2) Memorial Day kicks off the summer season. What's your favorite picnic food? 3) Let's celebrate the Memorial Day holiday with ice cream. What's your favorite flavor? Cone or cup? 8) As you answer these questions, is there an air conditioner or fan on? 9) Crazy Sam needs your help: What song or a performer would you like to see featured in a Saturday 9 this summer? You'll begin seeing your suggestions as Saturday 9 themes in mid-June. Thanks! Welcome to Saturday 9. What we've committed to our readers is that we will post 9 questions every Saturday. Sometimes the post will have a theme, and at other times the questions will be totally unrelated. Those weeks we do "random questions," so-to-speak. 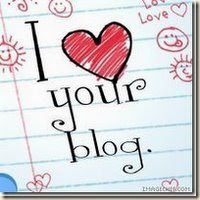 We encourage you to visit other participants posts and leave a comment. Because we don't have any rules, it is your choice. We hate rules. We love memes, however, and here is today's meme! 1) What hurts Sam the most is her sole, since she just found that earring she thought was lost by stepping on it with her bare foot. How about you? Any aches and pains to report? 2) What's the last thing you misplaced? Did you find it? 3) Lead singer Gary LeVox sings that he's not afraid to cry. When is the last time you shed a tear? 4) Gary auditioned for another country group, Little Big Town, but didn't get in. 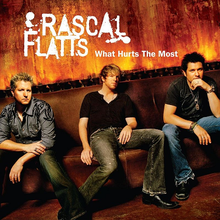 Considering how successful Rascal Flatts has been, he's probably not sorry. Tell us about something you thought you wanted, but later weren't so sure. 5) The country group has their roots in Columbus, Ohio. What else is Ohio known for? 6) Lead guitarist Joe Don Rooney married model and former Miss Georgia, Tiffany Fallon. Many major pageants give prizes in the talent, congeniality and swimsuit competitions. Would you prefer to have exceptional skills, a great personality, or a terrific body? 8) Actor Tony Shalhoub won an Emmy in 2006 for his portrayal of detective Adrian Monk on Monk. Who's your favorite TV detective? 9) Random question ... You've just won an all-expenses-paid trip but now you have to choose: Carnivale in Brazil, the Bordeaux Wine Festival in France, or the Running of the Bulls in Spain? 1) In this song/video, Ms. Sinatra's boots make a serious fashion statement. Do you choose footwear for comfort or fashion? 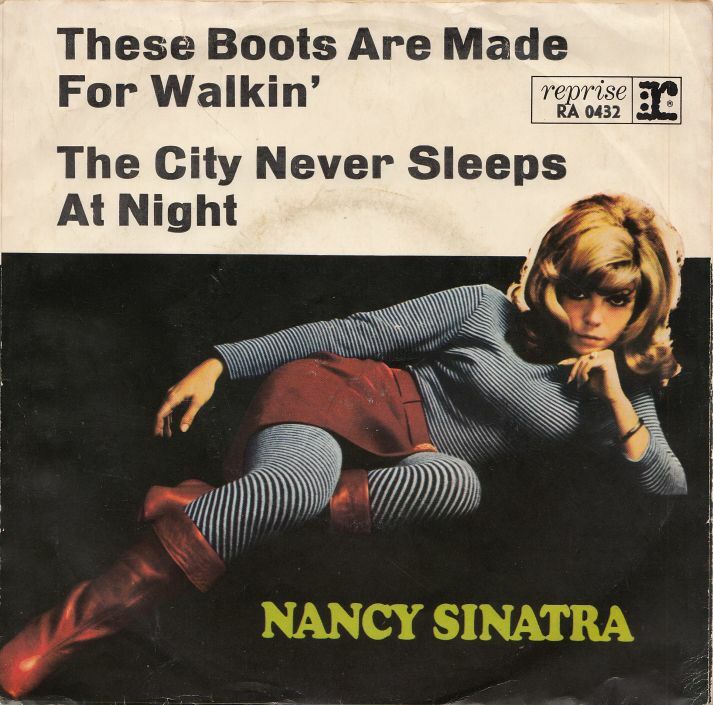 2) This is by far the biggest hit of Nancy Sinatra's career, which includes 6 top ten hits. Can you name another? 3) Nancy recorded it on Reprise Records, which was founded by her father, Frank. Did your parents give you a leg up in your chosen career? 4) Professionally Nancy has been involved in espionage, singing the theme to a James Bond movie and appearing in an episode of The Man from UNCLE. Do you enjoy spy/secret agent stories? 5) Nancy maintains the official Sinatra family website, which includes a link to the site of Mia Farrow. Ms. Farrow was, briefly, Nancy's stepmother, and obviously they are still on good terms. Do you have a big, extended family? 6) Nancy's music -- and posters -- were very popular with the troops during the Vietnam War. Nancy continues to return their loyalty and affection with her efforts on behalf of the Vietnam Veterans Memorial Fund. Here's your chance to promote a cause that's near and dear to your heart. What charity gets your support? 7) Nancy hosts a Sirius radio show devoted to her father's music. Do you have a subscription to a satellite radio or podcast network? 8) Nancy has said that she and her sister Tina had a more comfortable relationship with their famous father than their late brother, Frank, Jr., did. Do you think it's easier for mothers to get along with their sons, while fathers have an easier time with their daughters? 9) Random question: Tonight's dinner is on us. Would you prefer to eat at a casual restaurant with exceptional food, or an exclusive restaurant with so-so food but a celebrity clientele? 1) Gamal Lewis got the nickname "LunchMoney" in 10th grade because of his round cheeks and because lunch was his favorite part of the school day. What do you recall about lunchtime in the school cafeteria? 2) His father and uncle were members of the band Inner Circle. Their song, "Bad Boys" was the theme to the reality show Cops. What reality show have you seen recently? 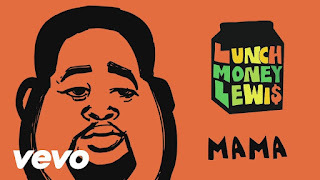 3) In this song, Mr. Lewis sings that his mama taught him how to put on pajamas. What did you wear to bed last night? 4) He claims he can't ever lie to his mama because she'll hear it in his voice. Are you a convincing liar? 5) LunchMoney sings that his mama made him chicken soup when he was sick. Do you eat soup all year around, only during winter months, or just when you're battling a cold? 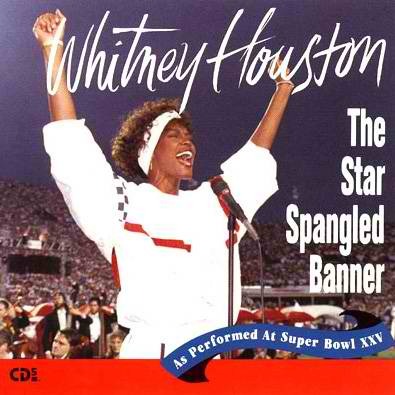 6) The lyrics tell us that when her son was hungry, Mama reliably whipped something up. What's the last food you prepared? 7) He also sings that his mama always made sure he had a few dollars in his pocket. Let's talk about you and money. Did you more recently lend or borrow it? 8) Mother's Day is for grandmothers, too. Sam grew up calling her grandmother "Grandgran." Did you have a nickname for your grandmother? 9) To celebrate Mother's Day, Sam is giving away her own mother's favorite candy: Hershey Bars. Would you prefer milk chocolate, dark chocolate, or milk chocolate with almonds?